The world of electric dog fences has evolved to the point where you can easily buy and install your own fence. Gone are the days when you had to have a professional installer do it for you; these days it’s all about DIY fences. This article will give you an idea of what you can expect to pay for a diy fence as well as an overview of the costs involved if you decide to have your electric dog fence professionally installed. How did we get our numbers? By gathering prices from the top 10 major retailers (including PetSafe, PetSmart, Walmart, Lowes, Home Depot and Amazon) and averaging out the cost of each item. Of course, there are a lot more than 10 retailers selling these products but our research indicates that using figures from the top 10 will give you a good indication of what it will cost you to buy and maintain an electric dog fence. 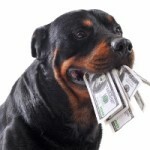 What Are The Costs Of An Underground Dog Fence? In terms of the DIY underground dog fence kit itself, there are many different brands and you’ll pay anywhere from about $100 – $300+, depending on how many bells and whistles you want on your system. That price will generally give you everything you need to set up and install your in-ground fence, including a transmitter, boundary wire, splicing supplies, your dog’s receiver collar and battery (or a charging adapter if the collar is rechargeable) as well as an owner’s manual. Besides what’s included in your kit there are a number of accessory items you might want to tack onto your initial purchase. These are widely available at a variety of prices so I’ll give you an average price range you can expect to pay for each of them. Surge Protector: This device will protect your underground fence from any kind of power surge, the most common cause being a lightning strike. These surges can travel back up your boundary wire and damage your transmitter. When your transmitter stops working your fence also stops working which means your dog is free to leave the containment area without receiving any type of static correction. But you can’t just use any old surge protector — there has to be a place to plug in your boundary wire and there are a number of companies that have designed surge protectors specifically for use with in-ground dog fences. Some fence kits come with a surge protector but if you have to buy one separately it will add another $30-$50 to the price of your fence, depending on what brand you buy and where you buy it. Uninterruptible Power Supply (aka UPS): A UPS is just a technical term for a battery backup that will kick in and keep your system running should the power go out. Without power your fence stops working and, as is the case with a non functioning transmitter, your dog is free to leave the containment area without receiving any type of correction. Again, some fences come with a built in UPS and some don’t. If yours doesn’t you can expect to pay anywhere between $75-$150 depending on how long you want your backup to last. Additional boundary wire: Most in-ground fences come with enough wire to cover about 500 ft (roughly 1/3 of an acre) so if you’re covering an area larger than that you’ll need extra wire. This is a good time to mention that almost all DIY fence kits come with thinner 20 gauge wire — also known to professional installers as ‘dental floss’. The thinner wire is more prone to breakage and because finding a break in your boundary wire can be a real hassle, a lot of people upgrade to a thicker 14 gauge wire at the time of purchase. If you decide to stick with 20 gauge, each extra 500 ft spool will cost you about $20 – $30; if you upgrade to 14 gauge that same 500 ft spool will cost you in the neighborhood of $60 – $90. A significant difference in cost but the vast majority of users say the time and effort it saves you in the long run is totally worth the additional upfront cost. If you want an idea of how much wire you’ll need have a look at the chart below. Keep in mind that you may require more depending on the layout of your yard and if you intend to have exclusion zones (eg a pool or garden that you want to keep your dog out of). 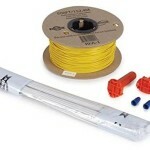 Splicing supplies: If you need more wire there’s a good chance you’ll need more splicing supplies. Fortunately the extra wire nuts and gel-filled capsules you need are inexpensive and available at most local hardware or home improvement stores. You should be able to pick up more than enough of each of them for under $10. Dog fence staples: If you opt for an above ground installation you’ll need a way to secure your boundary wire either to your pre-existing fence or to the ground. Dog fence staples are an ideal way to secure your wire and you can pick up a package of 100 staples for $10-$15. This type of installation is used by a lot of people who want to stop their dog from digging under or jumping over a wood or chain link fence. Additional collars: This applies only if you have more than 1 dog. Your fence will come with one collar but each dog needs their own receiver collar so if you’re a multiple dog household, you might want to factor in the cost of extra collars when you’re shopping for your in-ground fence. Depending on what fence you buy, collars vary widely in price but you can expect to pay $75 – $150+ for each additional collar. What Are The Costs Of A Wireless Dog Fence? Unless you have more than 1 dog or need to cover an area larger than about 1 acre, everything you need for your wireless fence is included in the fence kit. Depending on what brand you buy, a DIY wireless fence kit will run you anywhere from about $250-$400. As with a wired fence, every dog on a wireless fence system needs their own collar so if you have more than one dog you can add on an extra $120-$160 for each additional collar. The transmitter for most wireless systems covers 1/2 – 3/4 of an acre and if you want to double that coverage you can buy an additional transmitter. The extra transmitter alone is pricey though, costing $150-$200. Let’s look at one of the most common scenarios: Someone buying an in-ground fence who has 1/3 of an acre or less to cover and 1 dog. 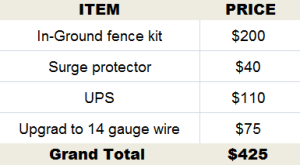 Keep in mind that if you buy a fence that comes with a surge protector and/or built in battery backup the price of those items in already included in the fence kit. So as you can see, there’s only a small difference between the initial price of an underground fence and a wireless fence. 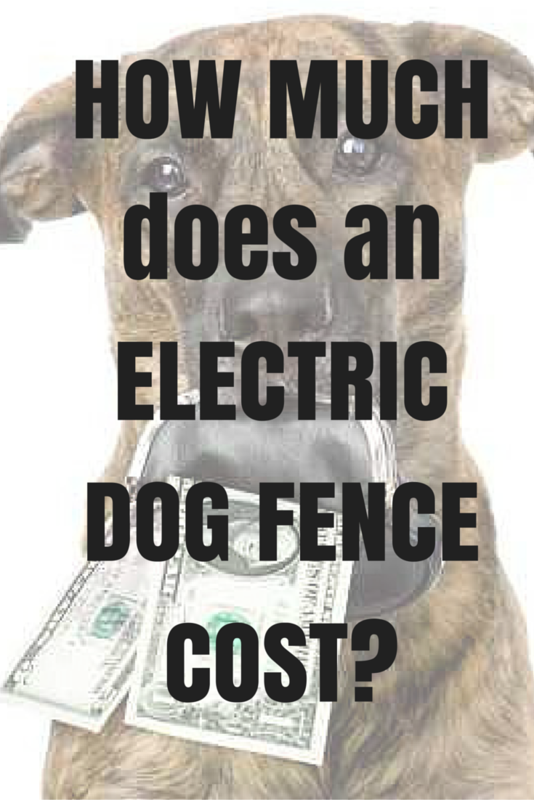 What Are The Average Yearly Maintenance Costs For Electric Dog Fences? 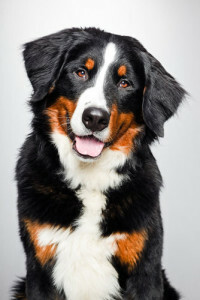 For the most part, yearly maintenance involves batteries, your dog’s receiver collar and, in the case of an underground fence, wire and splicing supplies. With that in mind, here’s an estimate of what those things will cost you on average per year. Batteries: If your dog’s receiver collar uses disposable batteries you’ll need to replace those from time to time. Some collars take a regular battery which can be found anywhere while others take a proprietary battery that’s more expensive and can be harder to find. Taking everything into consideration I’d say you can expect to pay between $20 – $35 per year for batteries. Routine collar maintenance: From time to time you’ll need to replace the metal contact points and washers on the receiver unit of the collar. For between $10 – $15 you can get a kit that includes everything you’ll need to repair and replace anything on the collar and that kit has enough supplies to last a couple of years. Wire and splicing supplies: To be on the safe side I’d factor in $15-$20/year. A roll of wire costs more than that but remember – if you’re only using it to repair breaks, that roll will last you more than 1 year. How Much Will It Cost For A Professional Installation? There are a lot of companies out there that do professional installations and the price varies from company to company. Not only that — because these companies have dealers set up all over the country, the price to have the same company install the same fence might vary from region to region or state to state. But regardless of where you live, having your in-ground fence professionally installed will run you anywhere from around $800 – $2000+, depending on the size of coverage area you need and the companies available in your area. That’s a whole lot more than a DIY fence but to be fair, you have to take into account the fact that their price includes more than just the installation — it also includes a couple other important things: Training and a battery plan. Training: Not only do they include training, most companies guarantee that their training will lead to complete containment. That’s a huge guarantee, especially when you consider that improper training is one of the most common causes of people not having success with their DIY dog fence. But to be fair, keep in mind that most of the major manufacturers have detailed training instructions in their manuals. In addition to that they offer customer support to help you — and your dog 😉 — through the entire training process. It’s not the ‘in-person’ training offered by the pro installers but it is included in the price of your DIY fence! Battery Plan: This allows you to purchase batteries at a bit of a discount but it’s worth remembering that the batteries for their collars are often proprietary which means they’re more expensive to start with. In terms of ongoing maintenance issues, every pro installation company has their own policy when it comes to who’s responsible for ongoing maintenance and how it’s dealt with. The good thing is that those local dealers I was talking about earlier are more than happy to come out and give you a no obligation, completely free estimate tailored to your dog and your situation, including who’s responsible for what when it comes to ongoing maintenance. When you compare the DIY option to a pro installation, it’s clear that the DIY option will save you quite a bit of money. When you compare wired and wireless fences and consider both both the initial and ongoing costs, there’s not a huge difference. In the end, your decision may come down to this: Which type of electric dog fence is right for you? If you’d like more information on different fences you can head over to my comparison tables where you’ll find side-by-side comparisons and links to more in-depth reviews on each model.